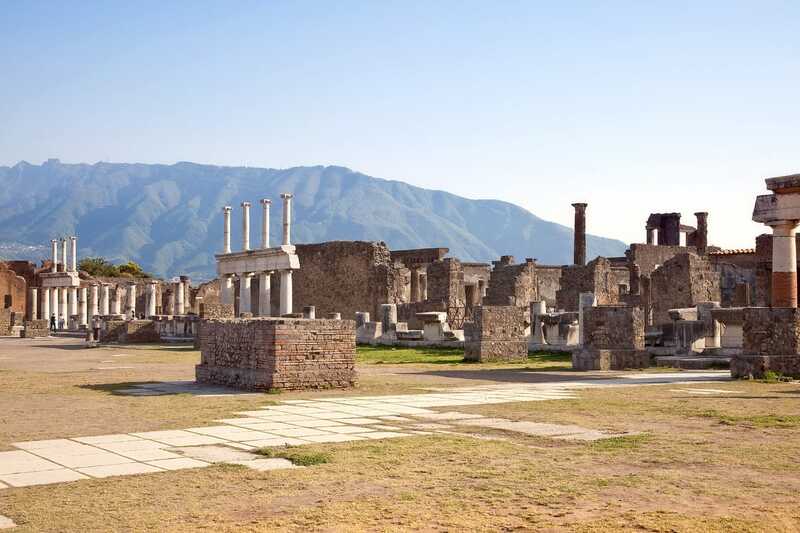 We can’t really call it a ‘destruction’ of Pompeii, as the town itself has actually been almost perfectly preserved under the ash and volcanic pumice. It is eerie yet intriguing. A place that was once so alive and advanced, is now frozen in time. A place where modern-day tourists can experience the lives of the ancient Italians. Despite it’s ominous history, it has proved to be a key tourist attraction, as people from all over the world come to see it, climb it and experience it. When you arrive, it is almost surreal that you are about to climb a volcano. There is the distinct smell in the air and it feels dry and hot. As you begin your ascent to the top, let’s take a moment to take in your surroundings. By your feet, the ground beneath you is like loose gravel, made up with tiny pieces of volcanic rock and pumice. With your legs, you will feel the steady and gradual climb as you meander up the mountain. If you decide to pick up a stone or two, you will notice the porous texture and the dark colour of the volcanic rock. The one thing that really stands out about this climb is the heat - particularly if you do it on a hot sunny day - you will be amazed at just how warm you get. This is not just because of the air temperature, but also because the ground beneath you radiates heat up through your shoes. It is a strange feeling, totally unique and awe-inspiring. It is at this stage that it really sinks in that you are climbing an active volcano, with lava deep, deep down in the mountain beneath you. There is nothing to worry about here, as the mountain is monitored daily to ensure there is no risk to the hundreds of tourists who visit it every day. As you reach the top, you can gaze down into the centre of the volcano, but you won’t see molten lava. The lava that reaches the top cools down very quickly and turns to rock. It looks more like a crater which dips in the middle. There’s more evidence of the heat below though as you can see steam rise from the ground and little bursts of activity. It’s not just looking into the mountain that is spectacular, as you turn the other way, you get the most wonderful view of Italy and the town and Mediterranean sea below. 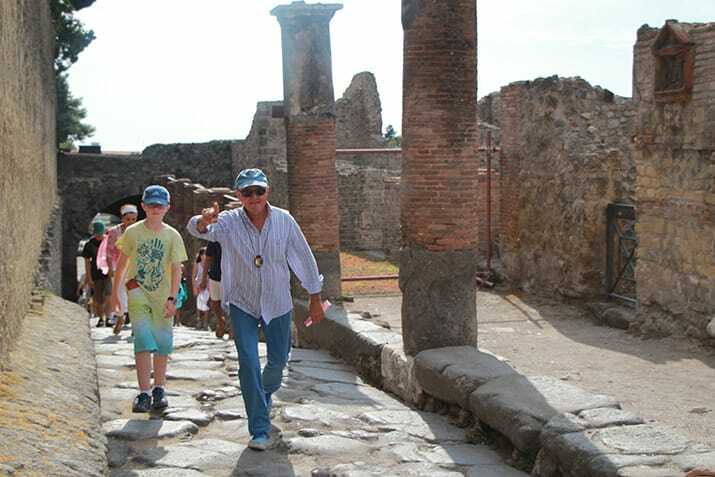 If we have sparked your interest, we offer an fantastic private tour of Pompeii and Vesuvius, where you can learn the history of what happened that fateful day and get the chance to climb the volcano. Or if you fancy seeing more of the area, we offer trips to Naples and the Amalfi Coast, as well as the island of Capri.